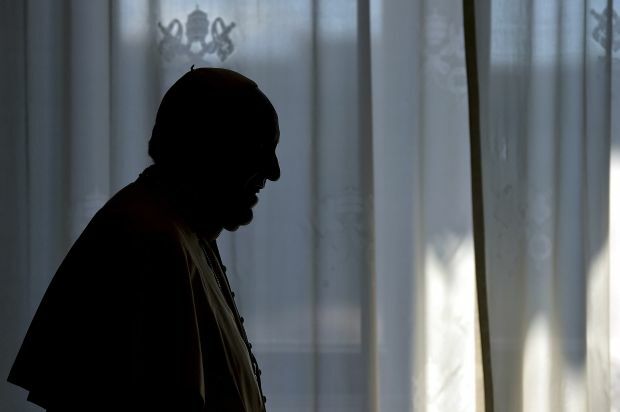 VATICAN CITY (CNS) — Because he has a bit of a cold and wants to rest up for his May 24-26 trip to the Holy Land, Pope Francis has postponed several scheduled appointments. Jesuit Father Federico Lombardi, the Vatican spokesman, told reporters May 16 that Pope Francis had celebrated his morning Mass that day with guests invited to the Domus Sanctae Marthae where he lives. Vatican Radio’s coverage of the morning Mass includes several clips of Pope Francis’ homily, delivered in a slightly hoarse voice. Because he was not feeling well and his agenda included meetings that easily could be postponed, the pope decided to “consolidate his rest” and take the remainder of the day off, Father Lombardi said. Already May 15, Father Lombardi had announced that the pope decided to postpone a planned May 18 pastoral visit to Rome’s parish and Shrine of Our Lady of Divine Love to rest up for his visit to Jordan, Palestine and Israel later in May. However, the pope kept a packed schedule of meetings with ambassadors and with Mexican bishops making their “ad limina” visits May 15. When the pope was 21, the upper half of his right lung was removed after cysts caused a severe lung infection. He has said the episode never caused him further health problems.